Google’s Pixel lineup came out with many features that made Nexus owners wishing for more. One of the attractive Pixel features was “Swipe for notifications,” which offers the ability to access notification panel by swiping down on the fingerprint scanner located at the back. It looks like Nexus 5X have got their wish granted. A report by 9 to 5 Google suggests that beta version of Android 7.1.2 brings Pixel’s fingerprint feature onboard for Nexus 5X. The “Swipe for notifications” feature is a nifty one as it can save users from unlocking the device and then swiping down the notification panel from the home page. With this feature, you can access the notification panel with just one step – swipe down on the fingerprint scanner to bring the notification panel down and swipe up to roll it back. Nexus 5X owners can enable the feature by going to the Settings menu and selecting “Moves” from the options. Now that Nexus 5X is getting the update for bringing the new feature, we think that Nexus 6P might also get it in the coming weeks. 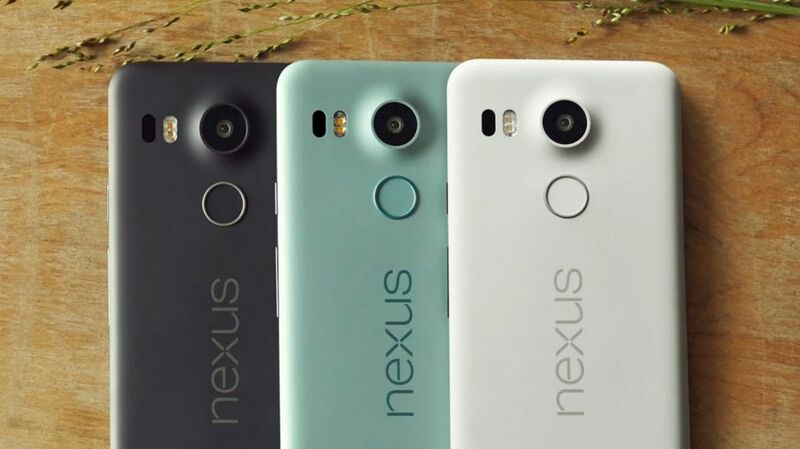 Both the Nexus devices – Nexus 5X and Nexus 6P use the same fingerprint sensor that is embedded into Pixel. However, Pixel’s fingerprint sensor has a different firmware setup that offered notification feature out-of-the-box. It means that Google worked hard on the Android 7.1.2 update for the Nexus 5X to bring the same functionality aboard. At the time when Google rolled out the Android 7.1 update, many Nexus users were not happy as it did not bring the fingerprint swipe functionality. Now with the Android 7.1.2 update, Google is making up for the delay on Nexus 5X. Even though Google has not yet made it clear whether the same update will roll out to Nexus 6P, but we are quite hopeful that sooner or later, Nexus 6P users will get it. Android developer preview Android 7.1.2 is yet to debut on Nexus 6P, and when it becomes available, then we might get to see the same feature coming with it. Regarding the Android 7.1.2 update, Google rolled it out the beta version of Pixel XL yesterday. The factory images for Nexus 5X were released today, users can download it from here.